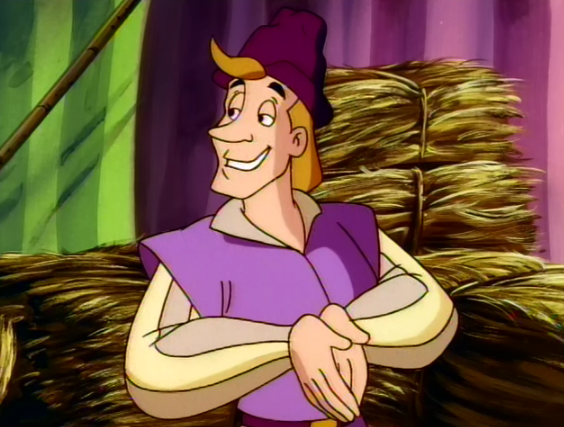 Pierre or as he more commonly known in Hunchback, Gringoire, has a lot of diversity in terms of the roles he can plays in Hunchback adaptations. He can be comic relief, the hero that saves Esmeralda or just the story teller. He is a bit like Phoebus whereas he can easily be a hero or a villain pending on the movie. 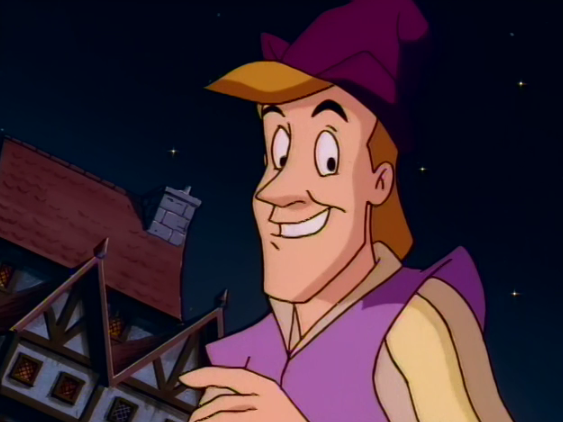 Secret of the Hunchback use of Gringoire or Pierre isn’t that different but combines him as comic relief and hero. Also a you MIGHT have noticed, there is no Phoebus character and typically if Phoebus isn’t in the movie or has a tiny role, Gringoire is the hero. 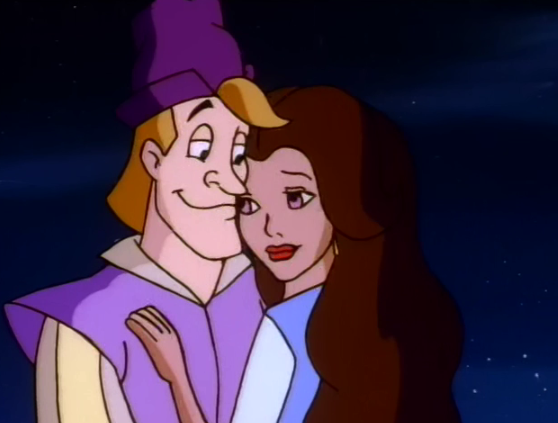 For Gringoire to be the hero in a Hunchback movie he has to be Esmeralda’s love interest, which he is version. However his bad poetry in his first sense makes a comic relief. 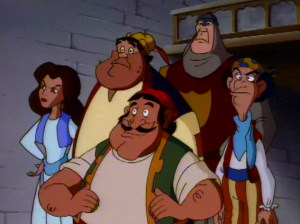 He also doesn’t do all that much to save the day, Quasimodo does most of the “work” i.e swings down and stops a wedding but Pierre helps and does “rescue” Esmeralda from Frollo once after the pillory scene. So he fit nicely into his two roles. Now, that being said how is as a character and how does he stack up next to his book counterpart? As far as he is in this version, he’s a nice guy, that’s pretty much it. 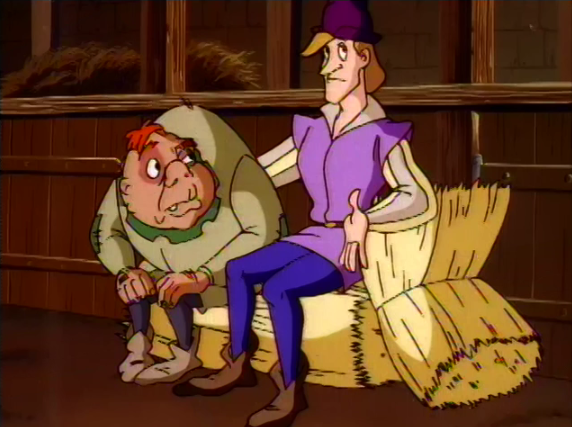 He’s nice to Quasimodo and is his pal. This doesn’t make him compelling or interesting but his bad poetry at least made him enjoyable, so gets a pass from him. He also isn’t that much like he is in the book. In the book Gringoire was a cowardly whiner who still wasn’t that great a writer, so they got one thing right about him. But to be fair, getting Gringoire’s characterization right isn’t the most important thing about adapting this story. Also I just want to add that Pierre is a Protestant in this version. Which was for the sake of a joke.